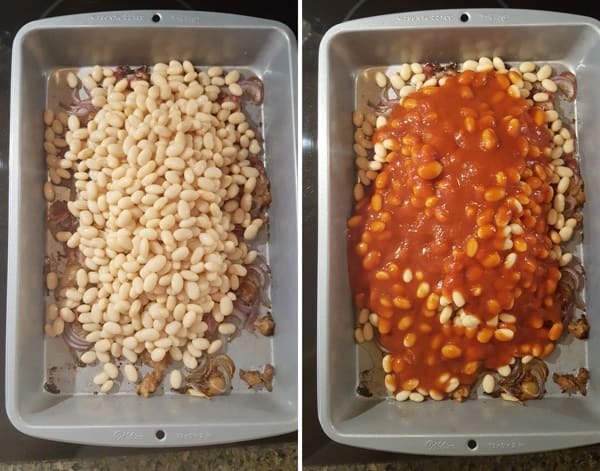 Today I’m taking the usual baked beans up a notch with my BBQ Beans recipe. 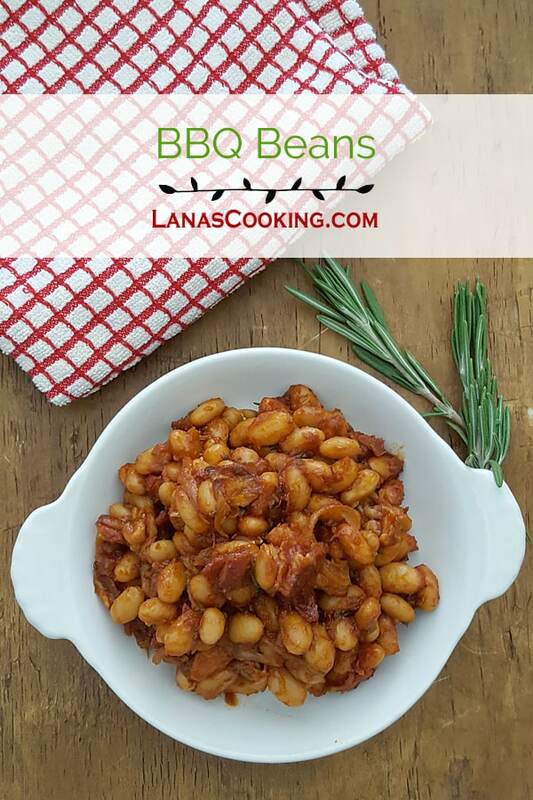 These BBQ Beans take a little longer to cook than my regular Baked Beans recipe, but they are so worth the wait! This recipe is just loaded with onion, bacon, and tomato goodness along with some brown sugar, barbecue sauce, and herbs. Yum, yum. You can use most any white bean in this recipe, but my preference is navy beans. Cannellini or white northern work as well. I use canned beans, but dried beans work just as well. Be sure to soak them overnight and rinse well before cooking. The beans presently used to make baked beans are all native to South America and were introduced to Europe around 1528. The dish is commonly described as having a savory-sweet flavor and a brownish- or reddish-tinted white bean once baked, stewed, canned or otherwise cooked. 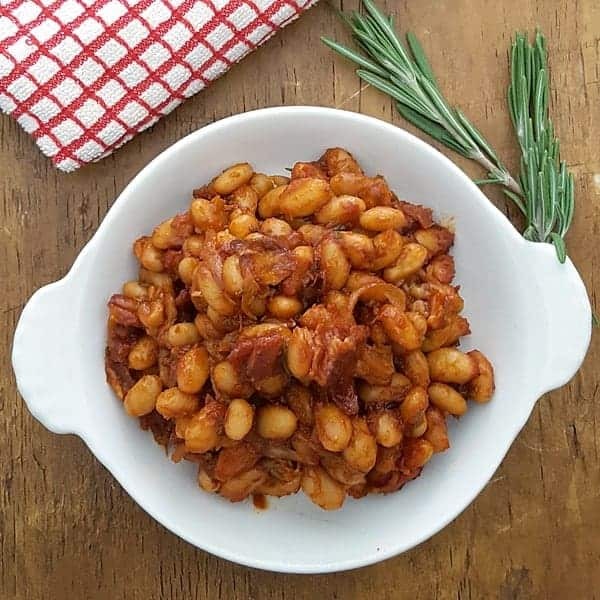 According to alternative traditions, sailors brought cassoulet from the south of France or northern France, and the Channel Islands, where bean stews were popular. 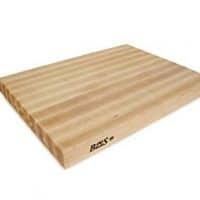 Most probably, a number of regional bean recipes coalesced and cross-fertilized in North America and ultimately gave rise to the baked bean culinary tradition familiar today. While many recipes today are stewed, traditionally beans were slow-baked in a ceramic or cast-iron beanpot. A tradition in Maine of “bean hole” cooking may have originated with the native Penobscot people and was later practiced in logging camps. A fire would be made in a stone-lined pit and allowed to burn down to hot coals, and then a pot with 11 pounds of seasoned beans would be placed in the ashes, covered over with dirt, and left to cook overnight or longer. These beans were a staple of Maine’s logging camps, served at every meal. These BBQ Beans are delicious with so many meals – burgers, hot dogs, barbecue sandwiches, fried chicken….whatever you like. Heck, I’ve had them leftover just by themselves. 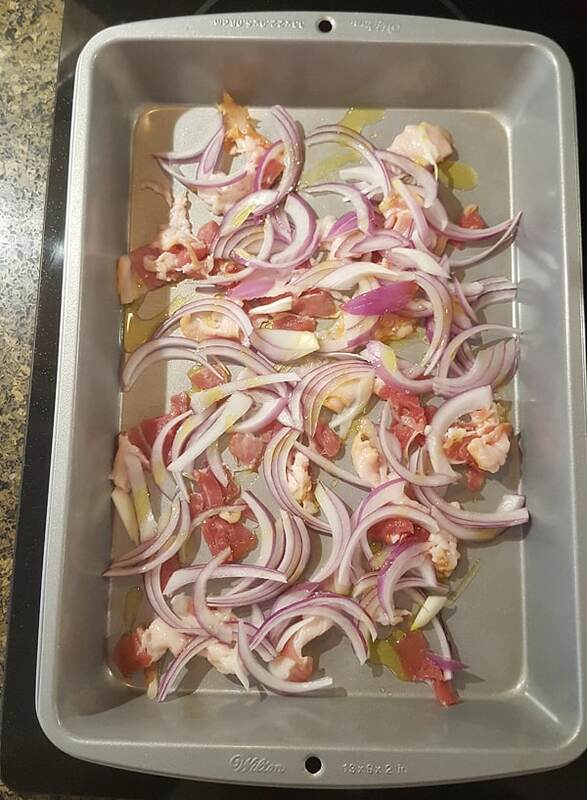 Place the onion and bacon in a baking pan and drizzle with olive oil. Cook for 20 minutes, stirring once or twice, until the onion has softened and the bacon has browned lightly. red pepper flakes, rosemary, salt, and pepper. Stir together until well combined. 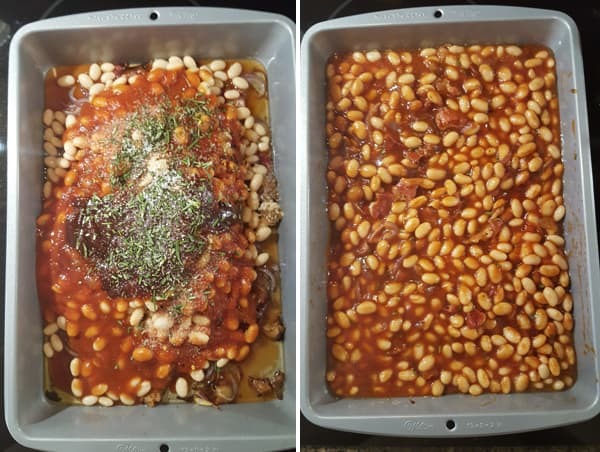 Return to the oven and bake for an additional 1 hour or until the beans are tender. 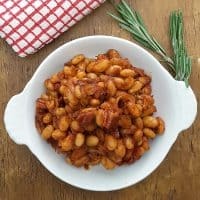 BBQ Beans - Beans baked with onion, bacon, tomato sauce, and seasonings. If the canned beans are already cooked, why do we bake them for 1hour? I usually use dry uncooked beans. As I said in the post, you can certainly use dry beans. 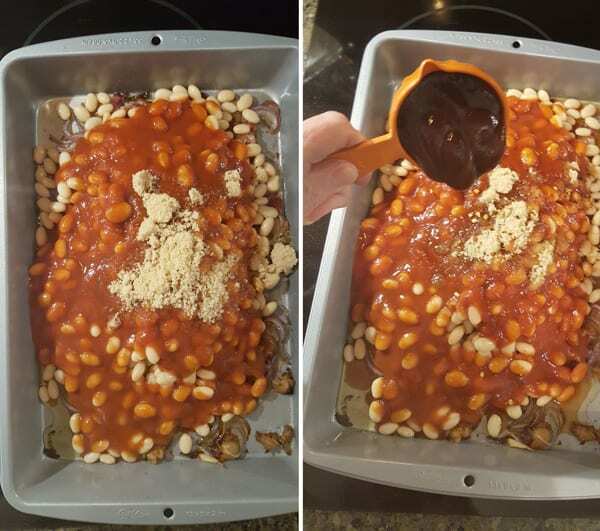 Just soak them and add in where the canned beans are added in the recipe. They come out just about the same though you may find they need some additional time. The baking time creates the lovely rich, sticky sauce and combines all the flavors. Absolute genius to place the bacon & onions in the baking dish and cook in the oven! I usually sauté those and then mix everything together in the baking dish. 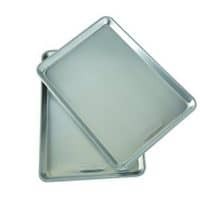 You just saved me a step, and one less pan to wash. I really do love baked beans, especially with BBQ chicken. That’s just such a classic combination. You know I’m all for fewer pans to wash!